Fran Hamilton's thirty-five years as teacher, writer, and editor have enabled her to distill the English language to its essentials. She has taught students of all ages -- from kindergartners to adults. She is the author of Hands-On English and co-author, with Marnie Hauff, of The Activity Book. Michael Hamilton developed the icons that are an integral part of these books as well as Hands-On Sentences and Hands-On Icons. The Hands-On English products -- and free resources available on this website -- are based on Fran's decades of "hands-on" classroom experience. Since 2005 Fran has cosponsored The Grannie Annie Family Story Celebration, which encourages young people to discover and preserve stories from their family's history. The Grannie Annie includes an annual writing contest and published anthology. 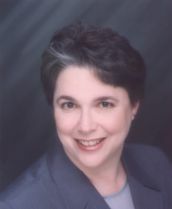 Fran frequently appears on radio and television programs to discuss Hands-On English and the English language, self-publishing, family stories, and school success. A list of media appearances, as well as sample questions for interviewers, is available for review. Fran may be booked for media interviews by calling 636-527-2822 or e-mailing her at fran@grammarandmore.com. Fran has appeared at bookstores in several states for book signings and presentations for Educators' Night, self-publishing seminars, and school book fairs. She has also addressed several organizations. A list of her public appearances is available for review. Fran is a member of the St. Louis Writers Guild and is past president of the St. Louis Publishers Association.